Continues through April 23 at The Brick, 579 Metropolitan Avenue, Williamsburg. 7:30pm (April 17th’s show at 3pm; April 23’s show at 8pm). Tickets are $18. More info here. Theater company Tight Braid Group and playwright Francis Weiss Rabkin take to the rust-colored, boxy, true-to-its-name Brick theater for their musical show, structurally inspired by Greek tragedies but featuring the stories of both early 20th-century physician and sexologist Magnus Hirschfeld, who founded the Institute of Sexual Science, and modern whistleblower Chelsea Manning, IM-ing from an army base in Iraq. Sounds like the type of show that will be striking and entertaining, but also enlightening on real queer stories covered up or pushed to the wayside. At The Silent Barn, 603 Bushwick Avenue, Bushwick. 9:30pm. Tickets are $10. More info here. Comedian and artist Lorelei Ramirez has written this piece, which is part of a new monthlong initiative from experimental theater company Title:Point (currently in residence at The Silent Barn) showcasing new experimental performance work in Silent Barn’s smaller space. 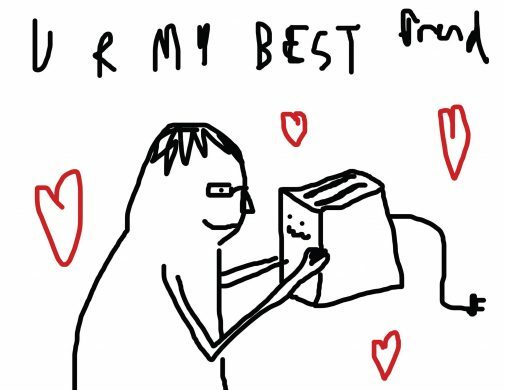 The piece centers around a toaster who has been rejected by its human and thus must deal with the all-too-human feeling of loneliness. Honestly, a rejected toaster just reminds me of the seminal animated classic The Brave Little Toaster and anything that reminds me of that gem is a thing I would like to see. At La MaMa Galleria, 47 Great Jones Street, East Village. 7pm. Free. More info here. 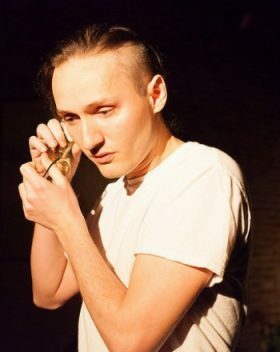 Part of La MaMa’s Experiments play reading series, where female playwrights show new work in progress, Gloria Kadigan’s play Uzume revolves around the delightfully-odd notion that the world’s crows have begun breeding rapidly and the crow population is slowly beginning to take over humanity. This is largely seen as a bad thing for humans, but one girl imagines there must be a better solution and also thinks a crow is cute. After all, maybe a crow is just the bird version of a kind of goth person with silky hair and a squawky voice. I love that someone was into crows enough to make an entire play about them, and I’m sure whatever the outcome of this theatrical crow-person-world is will be intriguing.